I’ve been thinking a lot about branding recently. Particularly as it pertains to how to communicate your message via visuals and text. Truth be told, I’ve been putting the pieces together to figure out my unique value proposition in my branding. 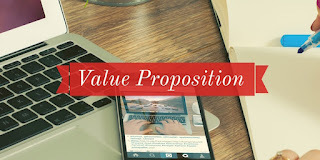 Now, when someone hears unique value proposition it usually refers to a selling point or the problem your product or service solves for your customer. In this case, I’m going to use the term unique value proposition in how you can differentiate yourself from others in your branding. Why do you need a unique value proposition? In my experience, once I found what made me unique and how to incorporate that into my branding, then the other pieces of the puzzle started making sense. Additionally, even if you’re running a business in which you are not the main figure in terms of marketing, you may have noticed that people are into lifestyles these days. For example, I may be a finance writer, but the reason people even listen to me is because I’m “selling” a lifestyle. A lifestyle of freedom based on getting your finances in order and starting a business as a result. Therefore, my life is my unique value proposition, like when I show people on Instagram how awesome it is to not have a boss because I get to travel. With that being said, I’m not the only finance blogger selling a lifestyle. So the question becomes how you can create your own unique value proposition within your niche. There are a few ways to figure out your unique value proposition in your branding. Here are a few of things I’ve discovered as I work on my own. Focus on your superpowers. I focus a lot of my effort on telling stories because it’s one of my superpowers. I’m really good on-the-fly and on live video. I’m also really good on podcasts because of my ability for storytelling. Not everyone has the same superpowers, so make sure to focus on yours. Focus on the different things that make you unique. People connect to people. That’s why your unique value proposition in your branding may be as easy as being yourself. For example, I’m kind of a nerd who digs stuff like tarot and Greek mythology. I embrace this and recently doing stuff like weekly money tarot readings on my Instagram. Find what’s lacking in the market based on what your interests. When I was a little kid I wanted to be an artist. At some point, I traded in paint for words and became a writer. That being said, I still have a major appreciation for art, so I use it in my branding. For example, my website design is based on the murals in my town’s art district. My Instagram feed is getting more artsy as well because it’s a part of who I am. The reason this works for branding is because money is usually scary for people, so my mission has become to make finance as beautiful as possible. This is something that no one in the industry is really doing (at least not to my knowledge) so it’s become my unique value proposition. As you can see, finding your unique value proposition in your branding doesn’t need to be that complicated. Often times it’s going to come back to what makes you unique and then learning how to express that.